Join us for these training oppurtunities or contact us about setting up training of your own! They are recorded and posted on the ARPCEM website under "Online Webinars"
These webinars are provided by CEM free of cost, but you must register for each webinar individually to get your link to join the seminar! Webinars may have a limited capacity so register early! 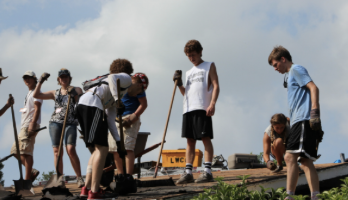 reports on the incredible experience of seeing teens empowered to do compassionate ministry in their local community. Hear about their Stay-At-Home summer camp experience with the Care Center in Lake Wales find out how you could bring it home to your local church. Hermeneutics: Guidelines for Rightly Handling the Scriptures"
The Word of God is the foundation of everything we teach. Review the basic guidelines that help us to handle it correctly.